Instituto Hemingway would like to draw your attention towards a new special offer. For those looking to fast-track their learning of the Spanish language, we provide intensive courses of individual classes at discounted rates. Now you can undertake a 30-hour a week course of 1-1 private lessons for the price of 660 euros a week. This price includes all administrative fees and textbooks. Through this fast-track Spanish course you will be given an entirely personal experience tailored exactly to your level. You will be given the tools to progress at your pace. Overall, it is the best way to learn Spanish quickly. In Bilbao, as a city where the vast majority of people are locals, you can also find a state of immersion outside of the school. Bilbao is the ideal place to learn quickly, with the accent being one of the most accessible in Spain. We also offer free cultural activities that can further deepen your state of immersion in the language and culture of Bilbao, the Basque Country and Spain. The medical Spanish classes offered by Instituto Hemingway are a great way to improve your Spanish with focus on this field. They are mainly aimed at doctors, although other health professionals such as nurses and assistants can also benefit from them. Thanks to this course, you will learn all the medical Spanish vocabulary you will need, and you will be able to use with confidence the most practical medical Spanish phrases. Not only will you improve your general level of Spanish, but also you will acquire the communicative skills a health professional must have in Spanish. The course will enable participants to understand legal texts and arguments, to draw up documents and to correctly express themselves using legal vocabulary. In addition, they will get to know the Spanish Legal System and the institutions it is made up of. Taking this into account, the course will be of special interest and value for non Spanish speaking Law professionals who are carrying out or who want to carry out their professional activity in Spain or whose clients require a deep knowledge of the Spanish lexicon, grammatical constructions and legal system. The Super Intensive Course is offered as Intensive 30 in Bilbao. This course is designed for students who want to improve their Spanish quickly and intensively. 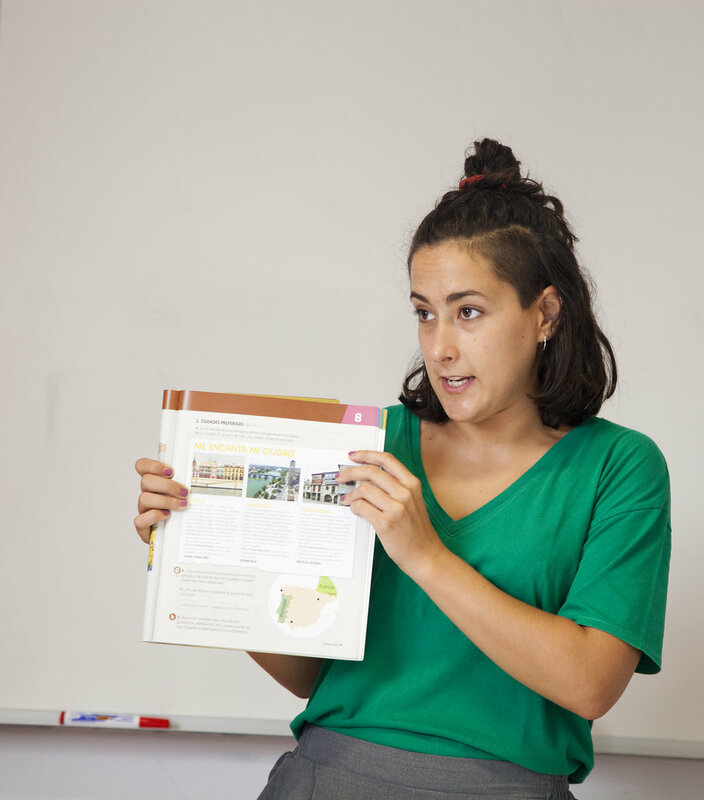 During the Intensive Spanish course, Instituto Hemingway teachers help students improve the main four language skills - speaking, listening, reading and writing. Speaking and listening are given particular emphasis. 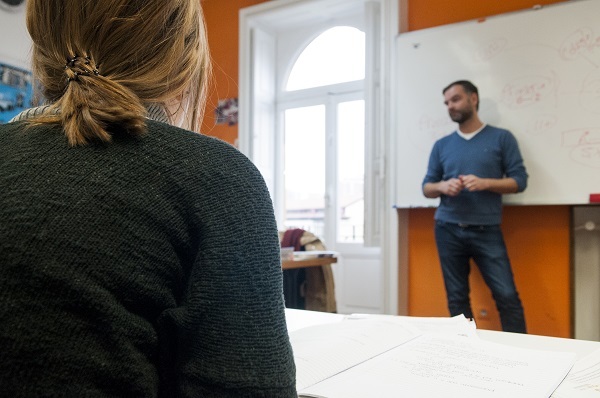 Thanks to our super intensive course available for all ability levels, you will have the chance to improve your Spanish skills in a really short time. 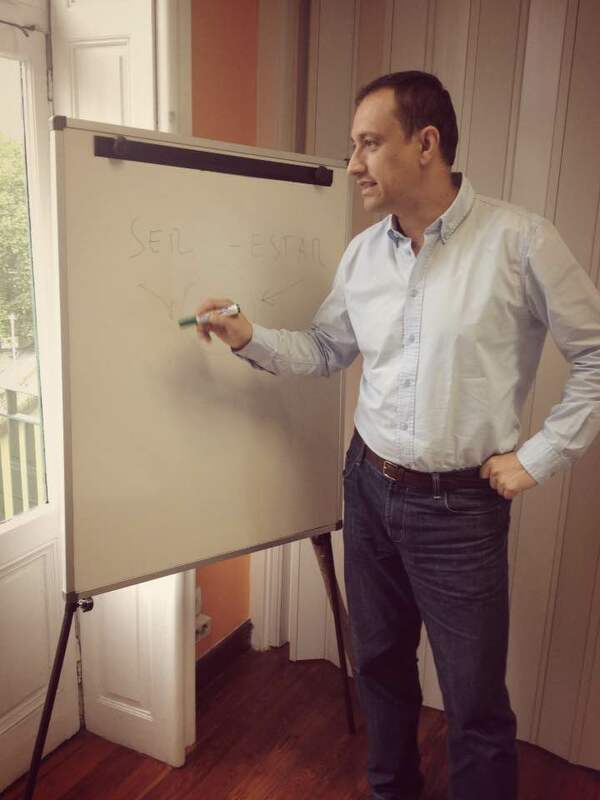 Our courses are taught in a friendly atmosphere and in small groups so we can provide an individual experience for each student, giving them the opportunity to improve those aspects of the Spanish language they find the most challenging. 3 extra hours/week focusing on DELE contents in the afternoons. Learning Spanish with your children can be a unique experience for the whole family. The adults can choose from any of our courses and the children will be in the course that best adapts to their age and Spanish level. If the parents decide not to enrol their children in classes, or they are younger than 6 years, it is possible to organize a baby-sitter during class hours. Every day after class, the family can do activities organized by the school and participate in the excursions during the weekend. The family shares the accommodation and can choose to stay in a host-family, individual apartment, hotel or hostel. In addition to 20 intensive Spanish lessons per week we offer a complete culture and leisure program with four afternoon activities where students will have the chance to practice their Spanish in a relaxed environment and learn more about Spanish customs and traditions. Accommodation can be in host families close to our School and who love children. Accommodation in shared apartment single room can be chosen as an exception upon request. Among the activities in Bilbao we include visits to historical center, beach surfing days, Chocolate con churros, museums, excursions to fishermen villages etc. 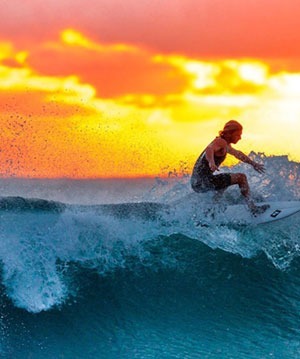 Surfing courses are available upon request. Thanks for consulting us on this offer soon we will get in touch with you.